Washington - A Senate committee on Thursday rebuked Donald Trump by endorsing a measure that says barring individuals from entering the United States based on religion would be un-American. 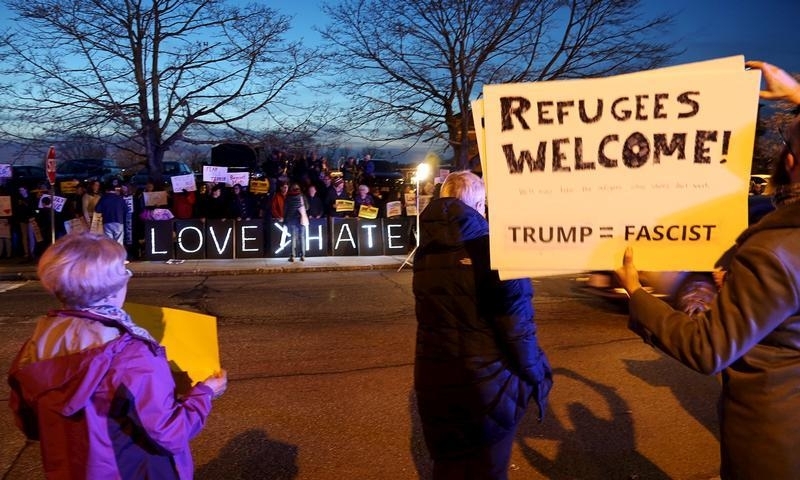 The Republican presidential front-runner has called for blocking Muslims from entering the country in the aftermath of attacks in the United States and abroad. The Senate Judiciary Committee voted 16-4 for the nonbinding amendment pushed by Sen. Patrick Leahy of Vermont, the panel’s top Democrat. The language was added to an unrelated bill on nuclear terrorism. The four Republicans who opposed it included GOP presidential candidate Ted Cruz of Texas. Cruz was not present but voted by proxy, as is regular practice when lawmaker cannot attend a committee vote. Among the 16 backing Leahy’s amendment was the committee chairman, Sen. Charles Grassley, R-Iowa, who faces re-election next year. South Carolina Sen. Lindsey Graham, another GOP candidate for president, also backed the measure. “A nuclear terrorism bill is not the place for political games,” Novack said. After voting against the amendment, Cruz voted in support of the nuclear terrorism bill to which it was attached, again by proxy. The committee approved that bill 17-3. In addition to Cruz, Republicans voting against the amendment were Sens. Jeff Sessions of Alabama, David Vitter of Louisiana and Thom Tillis of North Carolina. Sessions spoke for almost half an hour opposing the language, saying it was overly broad and could hamper immigration authorities’ ability to screen applicants on religious issues. Tillis said he opposed the amendment because it could slow down passage of the nuclear terrorism bill. Vitter, who was not present, also voted by proxy.